Are you a serious bird watcher looking for that elusive bird or do you simply enjoy admiring their beauty and songs? 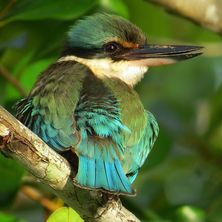 Birds are a diverse group that has adapted to all environments throughout Australia – oceans, freshwater, deserts, rainforests, coastal areas and more. Explore, learn, discover and enjoy Australias beautiful and amazing bird life with any of the following guides who are passionate about sharing their knowledge of the birds in their local areas. Book with any of the following guides to make your next bird watching experience one you’ll never forget.